"Dallas, TX…. Walgreens, your friendly neighborhood corner store, has partnered with the Urban League of Greater Dallas & North Central Texas, DFW Pride Movement, LA Fitness, Dallas County Health & Human Services and UT Southwestern Mobile Mammogram Unit to provide the Dallas / Fort Worth Metropolitan community with a day of FREE health and wellness screenings. Attendance at this event is expected to reach over 1,000 people. Along with a fitness demonstration from LA Fitness, attendees will be able to receive FREE High Blood Pressure Check-ups, Diabetes Testing, Cholesterol Testing, Blood Composition, Blood Glucose, A1C Test, and Body Mass Count all performed by Walgreens. 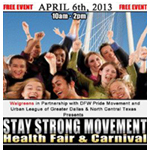 FREE HIV Testing will be provided by the Urban League of Greater Dallas & North Central Texas while the Mobile Testing Unit from Dallas County Health & Human Services will perform tests for Syphilis, Gonorrhea, Herpes and Chlamydia. UT Southwestern Mobile Mammogram Unit will also be onsite performing FREE Breast Cancer screenings for the ladies. Walgreens also will be offering all of their routine in store vaccinations, which can be received for their normal fees inside the store. Parents attending the event with children can keep their little ones entertained by letting them jump in the bounce house, get their face painted, be amazed by the clown and balloon artist, or just marvel at the tall person walking around on stilts. Also, there will be many free give-a-ways and DJ Frances Jaye of the Neo Soul Café will be spinning cosmic tunes of inspiration, peace and happiness. You don’t want to miss it!" 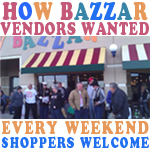 "Come walk, shop, eat, and learn. We are having our second Autism Walk. 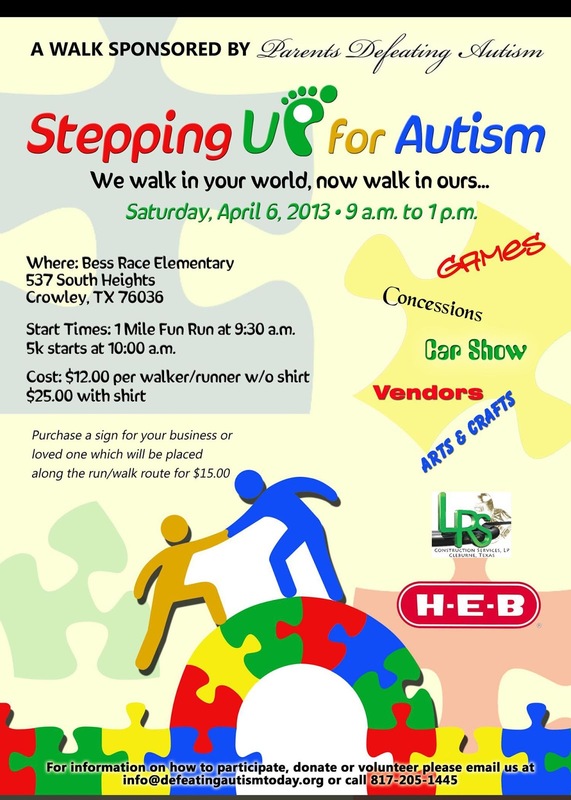 This year we are Stepping Up for Autism. We will have vendors, concessions, a car show, games, DJ, and arts & crafts. Free to shop but sign up your team to walk. Come support Parents Defeating Autism in Crowley at Bess Race ES." "Six blocks of Main Street in the Deep Ellum entertainment district will be transformed into one enormous street festival featuring, 200 top-notch juried decorative and visual artists, 100 original bands, singer/songwriters and performance artists performing from five different stages, the renowned Pet Parade, and copious food and drink. Festival attendees can stroll through displays of cutting-edge decorative arts and admire, commission, and purchase the art of sculptors, muralists, jewelers, painters, and fine artists; some of whom will be creating pieces on the spot." "Wide variety of vendors at our INDOOR facility including indie, homemade, recycled, hair bows, arts & crafts, clothing, jewelry, candles…you name it! No admission! Take a walk outside and vote for your favorite car, truck or bike while you eat some delicious BBQ and let the kids enjoy the Bounce House & Music!" "Spring Fling is a community event designed provide a fabulous shopping experience for our guests! We feature a little bit of everything so you're sure to find plenty that catches your eye. The best part? Proceeds from Spring Fling directly benefit local charities. So come out, have some fun, and do some good! Are YOU a Spring Fling Queen or King?"